string(4) "USET" Flower delivery to Kazakhstan - KZ-Flowers.com! Would you like to send flowers to Kazakhstan? You are welcome to use KZ-Flowers.com services! 1. We are always available. No matter what time zone you live in, you’re free to make order at any convenient time. Our consultants take orders and answer customers’ questions on the phone or in the chat around the clock seven days a week. 2. It’s an easy way to arrange flower delivery to Kazakhstan. Use the order form on the site or just call our office, discuss every detail with the KZ-Flowers.com manager, pay for the order in the most convenient way and track the order status right on the site. 3. Enjoy the best choice of flowers and gifts. There are beautiful bouquets adorned by various decorative elements, spectacular baskets and exquisite arrangements composed of a variety of different flowers. Your flower delivery order can be supplemented by sweets, fruits, drinks, toys and many other gifts of your choice – it’s easy to choose a great present for any occasion. 4. KZ-Flowers.com guarantees high quality of the plants and gifts as well as timely delivery to any destination. Being professionals on the market, we’re able to arrange flower delivery around Kazakhstan in 4 hours from the moment of payment. And we’re always ready to confirm the fact of delivery with photos of a happy addressee. 5. Our service is affordable and transparent. After you complete your order, you will get the final price for the flowers, gifts and delivery. There are no hidden charges or fees. Our flowers are more affordable than in most of the flower shops in Kazakhstan. 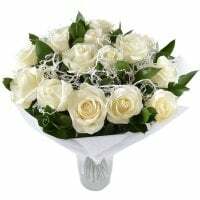 Besides, we provide our clients with several opportunities to get discounts while ordering flower delivery in Kazakhstan through our service. Start with registering on our site and then enjoy KZ-Flowers.com special offers. Sign in. You can make this quickly with your Facebook or VK account. Choose flowers andor a gift based on an occasion, preferred colors or plants, number of flowers or the price. View your cart and read detailed information about delivery to Kazakhstan and the available payment methods. Add delivery information and billing details and then confirm the order. Make the payment and check the order status – we will take care of the rest! Welcome to KZ-Flowers.com and enjoy our services!